Autumn is, without a doubt, my favourite season of the year! Halloween, cosy jumpers, hot chocolate, that wonderful smoky smell of bonfires in the air… I always look forward to going through my wardrobe, putting away my summery things and bringing out pieces in rich, earthy shades for fall. If, like me, you need any excuse to go shopping, check out a couple of my must-have buys for this Autumn. a striking, deep berry lip gloss – perfect for this season’s Glam Goth trend. For a cheaper option, I love Rimmel’s Kate Moss Lipstick in Wine 107 £5.49, which is more of a rich, theatre-curtain red. 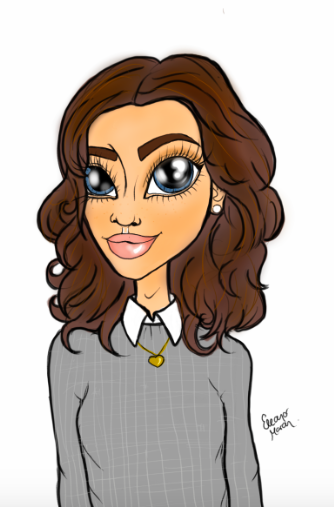 The braver you are, the darker the lip shade you can go! For eyes, I really like using the plum hues from the Urban Decay Naked 3 Palette £38, or MUA Merged Trio Eye shadow in Emotions £3; a trio of golden, rusty browns which look amazing blended together, especially on blue eyes. 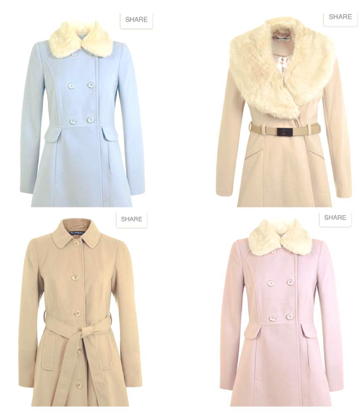 I love these coats from Miss Selfridge. They’re in such pretty colours and I love the fur lining, perfect for anyone like me who really feels the cold. Princess coats and belted Macs are my favourite styles, especially if I’m wearing a skirt and little ankle boots. Apparently, we’re expecting a bit of an Indian Summer this year, so the next couple of weeks should be a little less chilly than we’re used to! ditch the fake tan. I never want to look too unhealthy though, so I love mixing an illuminator under my foundation. Over the summer I’ve been using B. Sweet Popping Candy Highlight Serum £14, and it’s amazing. It looks like little pink sweeties in the tube and my skin always looks really dewy and fresh. I also love using a little powder illuminator above my foundation, and this I ❤ Makeup Blushing Hearts in Peachy Pink Kisses £4.99, over the cheekbones gives you a really nice glow. I need to get Benefit’s new Shy Beam £28.50, a peachy illuminator which goes on matte; perfect for the cooler months as it’s not too shimmery. I can’t wait to try this perfume! If you’re anything like me and adore sweet scents, I think you’re going to love this. Encased in a vintage-style, pink glass bottle, it comes attached with a fuzzy bunny tail, sure to take pride of place on any dressing table. 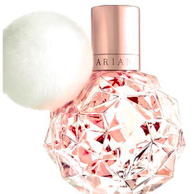 The fragrance – released this September – contains notes of sparkling fruits, florals and an ‘addictive’ hint of marshmallow. Yum! As the dark evenings draw in, I absolutely love burning candles. 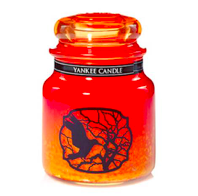 Right now I’m obsessed with this spooky Halloween scent by Yankee Candle £16.99. 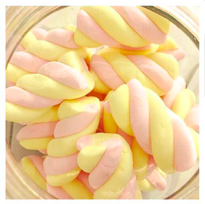 If you’re not familiar with candy corn, they’re these yummy orange, yellow and white triangular sweets usually handed out for Trick or Treaters. A big thing in the States but sadly not really about in the UK. Last year I got this scent in tea lights to put in my pumpkin. Super sweet, festive and will make your bedroom smell lovely!